Sporting an oversized fireman's hat, the big brother with fire engine personalized Christmas ornament is perfect for the little man who is adjusting to sharing the spotlight with a baby brother or sister. 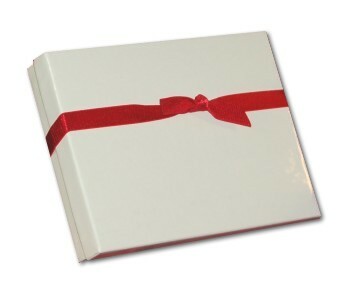 He'll feel super special with a personalized boy's gift with his name on the star and the year too. One of our lettering artists will add these details where shown but in a handsome, hand-painted font to create a present that is one of a kind. These kids ornaments personalized to encourage the recipients arrive in our plush velvet gift bag. 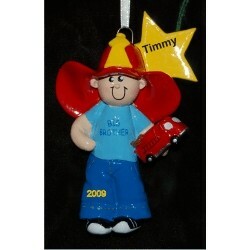 Celebrate your big fellow with the fireman's cap big brother personalized Christmas ornament perfect for any occasion.